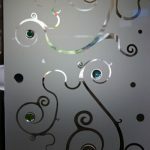 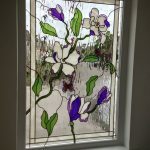 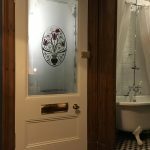 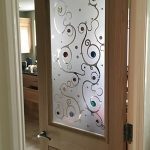 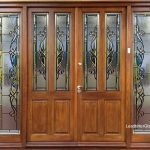 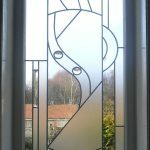 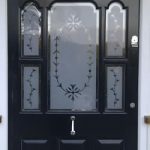 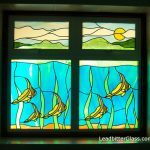 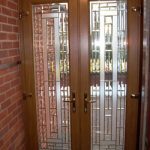 In 2010 we created these four stunning glass panels for a new door for a clients home. 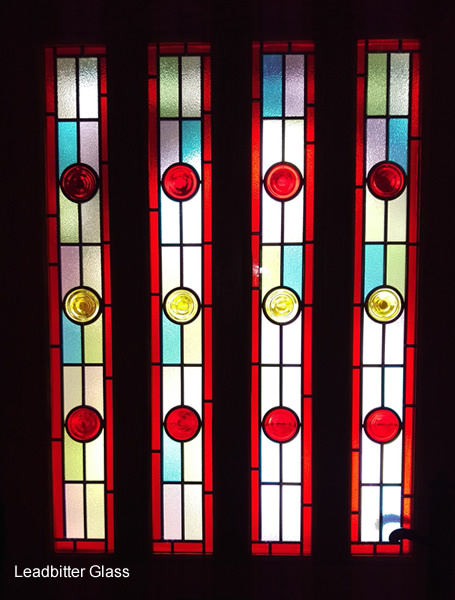 The glass was created as four double glazed units with the red and yellow stained glass roundels facing the outside of the house. 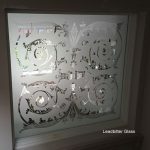 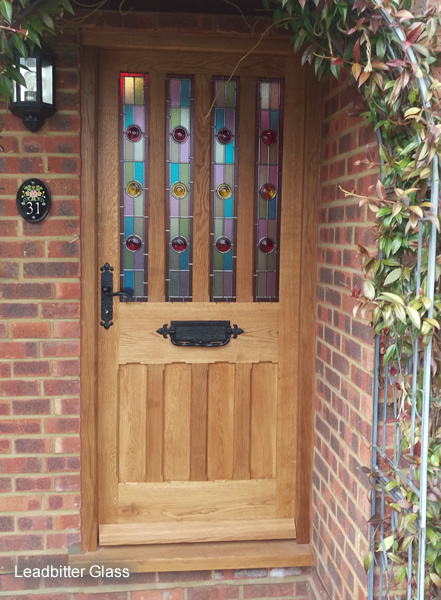 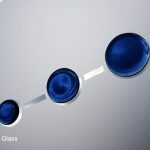 The roundels were UV bonded to toughened Stippolyte glass which makes the Stippolyte areas become clear again. 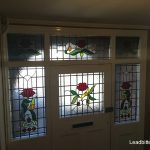 The rectangles were all coloured with a traditional red border following the outer area of each panel.